We close the 2017 season of FM89's Young Artist's Spotlight this week with a performance by Clovis High School violin soloist Paulo Carmelo. He performs two selections, works by Johann Sebastian Bach and Jules Massenet. Today on Young Artist's Spotlight we feature a number of soloists and ensembles from the Tulare County Youth Orchestras. 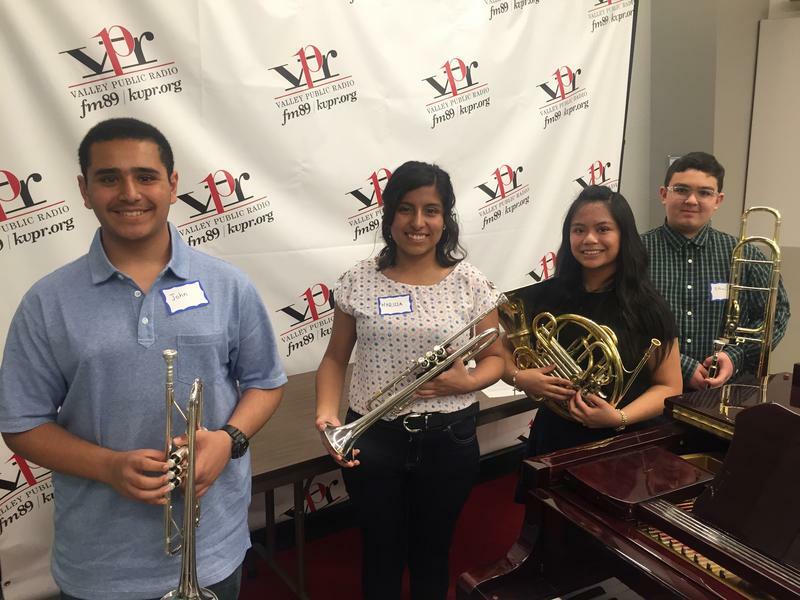 Today on Young Artist's Spotlight we feature a performance from four of the five members of the Bakersfield Youth Symphony Orchestra Brass Quintet. All four are new to the group this year. The group has played pre-concert music for the Bakersfield Symphony Orchestra and for the Community Concert Association concert which featured the Presidio Brass. The group's founder and coach is Steve O'Connor, trumpeter, who serves on the BYSO board and plays in many local organizations, including the Bakersfield Symphony Orchestra, the Bakersfield Municipal Band and the Bakersfield Winds.